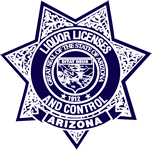 On the morning of November 28, 1965, Agent Alfred Moore was near the Calderon Ballroom roughly at 16th Street and Buckeye Road in Phoenix, where he observed a disturbance. 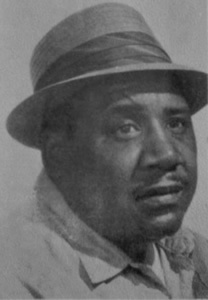 While investigating, Agent Moore was shot by the suspect and succumbed to his injuries a short time later. The suspect fled and hid in a nearby motel room. The suspect forcibly took the woman he was initially arguing with and held her captive. Come early morning, the Phoenix Police Department received a tip as to the suspect's whereabouts. When officers arrived at the motel room, the victim was let go and the suspect took his own life. It is important to note that after Agent Moore was shot, he reached for his duty weapon but stopped when the suspect stated, "If you shoot back, you'll hit her." Agent Moore took no further actions and died shortly thereafter. Agent Moore is undeniably a hero who laid down his life to save a woman he did not know. 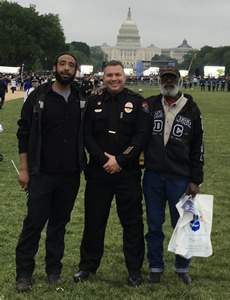 Agent Moore was officially added to the National Law Enforcement Officers Memorial in Washington, D.C. on May 13, 2018. 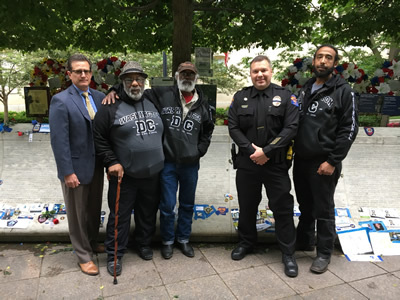 Director John Cocca and Detective Dan Webb represented the Department, and Alfred Moore Jr. (son), Oscar Stevenson (son), and Alex Moore (grandson) represented Agent Moore's family. 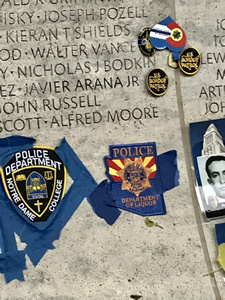 Agent Moore's memorial panel is located at 52-E: 30 in Washington, D.C.